Dinner time doesn’t need to be a chore any longer with the Cuisinart 3-in-1 Cook Central Multicooker. This premium kitchen appliance has everything you could ever ask for in a kitchen helper to take the time and effort out of preparing nutritious and delicious meals. With a range of recipes and automatic settings available to suit this ingenious design, you’ll never be at a loss for a healthy and tasty meal for your family. The non-stick and dishwasher safe design makes it so easy to prepare your meals, and even easier to tidy up once done. 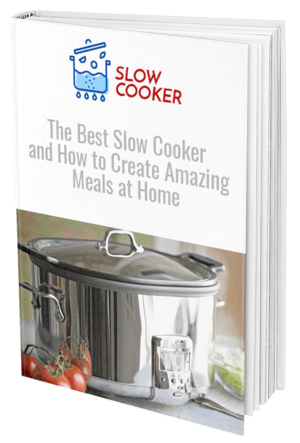 Simple to just set and forget, the slow cooker function is the ultimate help for the busy chef. Once the cooking is done, the automatic Keep Warm function will turn on and help to keep your meal fresh and hot for dinner time. Whether you want to steam, sauté or slow cook a meal to perfection, the Cuisinart 6 Quart 3-in-1 Cook Central will be your ultimate kitchen aid. Revolutionizing the way you prepare your meals, these modern appliances help take the work out of preparing meals for your family. Crafted from stunning stainless steel styling, it looks sophisticated and modern sitting atop your counter with no need to ever put it away. Clean up is a breeze with this premium appliance as you can simply remove the cooking pot from inside and place it in the dishwasher for a quick fix. Change the way you cook forever and let this modern appliance do most of the work. Whether you’re feeding a large family, preparing a nutritious bulk meal for freezing, or serving guests at your next dinner party, there’s nothing the Cuisinart Cook Central can’t do. 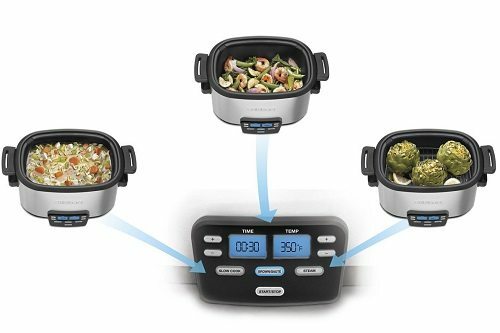 Has a handy digital front so you can set your meals and then leave them to cook, no need for old fashioned dials and knobs that are found on some slow cookers. The cooking pot is dishwasher friendly so all you need to do is give it a quick rinse out and then place in your dishwasher to clean. After some use, you may find that the Teflon coating starts to come away or bubble. Extra caution needs to be taken when cleaning and cooking with this. 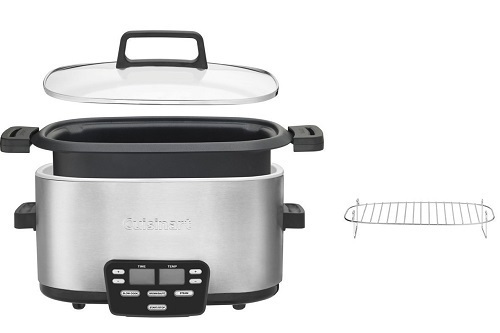 Slow cookers have certainly evolved from the styles of yesteryear, with some amazing new functionalities available. The Cuisinart Cook Central offers more than your standard slow cooker, with the option to steam and sauté your recipes too. While the non-stick Teflon makes cooking and cleaning a lot easier, you may find that this begins to bubble after some use. You’ll need to take extra care not to damage the Teflon or perform any harsh scrubbing on its surface, and with caution, you should be able to avoid this issue altogether. The handy automatic settings on this appliance mean you can add all of your ingredients, choose your setting, and then walk away. Whether you want to get your cooking done while you work, or run errands, there’s no need to slave over a hot stove for hours anymore. 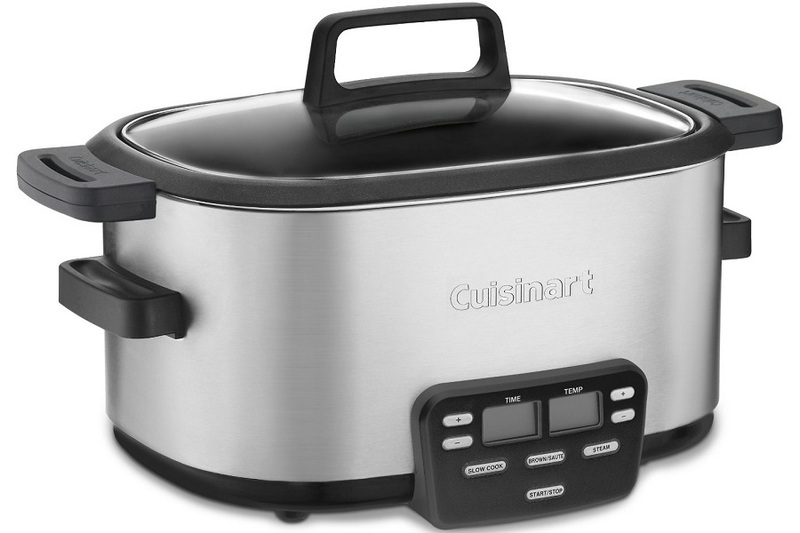 To change the way you cook today, purchase the Cuisinart 3-in-1 Cook Central today.